With the September 25th scheduled Kurdish Referendum in Iraq less than a week away, nations worldwide including the US, UK, France, UN, Iran, and Iraq have expressed their objection and dissent and are calling for its suspension. All except for Israel, a lone supporter and longtime friend of the Kurds. “Massoud ­Barzani, The Opportunist: When ISIS threw the Middle East jigsaw puzzle into the air, the Kurdish leader reached for a piece. What does it say that the most reliable U.S. ally in its campaign against ISIS is an imaginary country? Kurdistan—Land of the Kurds—exists only in two spheres. One is on maps sold in bazaars wherever the Kurdish language is spoken. The other is on yellow-red-and-green flags Kurds sometimes wave in the countries where they actually reside (according to maps sold everywhere else in the world). Yet in one of those countries, the Kurds have built themselves a state in all but name. Far to the north of Baghdad, where Iraq’s deserts rise into stony foothills and then into mountains, the Kurdistan Regional Government holds sway”. In January 2012, the French newspaper Le Figaro claimed that Israeli intelligence agents were recruiting and training Iranian dissidents in clandestine bases located in Iraq’s Kurdish region. 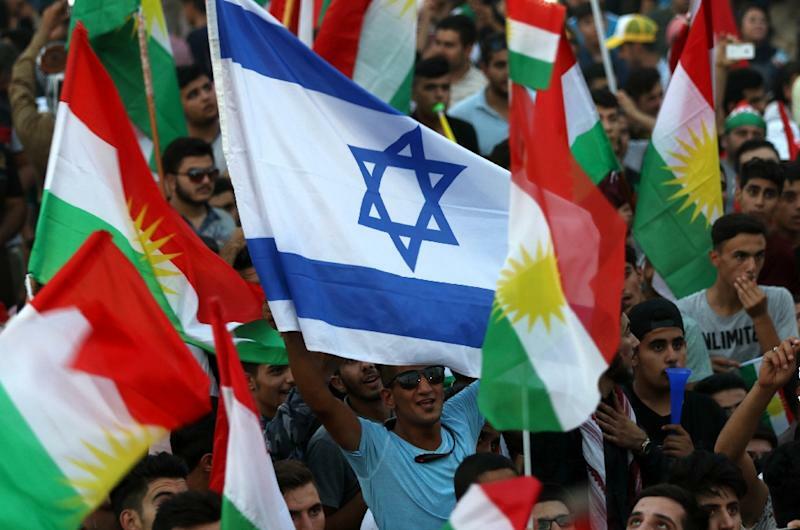 By aligning with the Kurds, Israel gains eyes and ears in Iran, Iraq, and Syria. A year later, the Washington Post disclosed that Turkey had revealed to Iranian intelligence a network of Israeli spies working in Iran, including ten people believed to be Kurds who reportedly met with Mossad members in Turkey. This precarious relationship between Israel and Turkey persists today. The United States, United Kingdom, and most other states involved in the American-led anti-Islamic State coalition, as well as Turkey and Iran, have come out forcefully against the referendum. 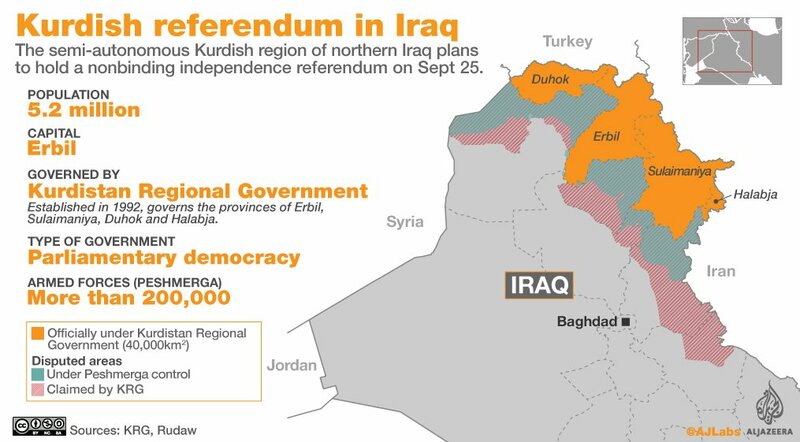 Those countries are reportedly backing an as-yet-unannounced “alternative” plan for immediate negotiations between Baghdad and Erbil — in exchange for the Kurdish government’s halting the referendum. Has the British Elite’s Slavish Pro-Israel Agenda Finally Gone Too Far?